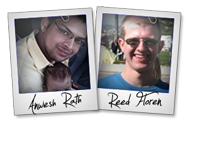 Anwesh Rath + Reed Floren – Email Ninja Academy 2014 Affiliate Program JV Invite, More. Welcome to the JVNP 2.0 Update featuring a primary JV request courtesy of fellow JVNP 2.0 Partners Anwesh Rath + Reed Floren (Email Ninja Academy 2014 – JVZoo affiliate program JV invite), Buzz Builders and More … in Today’s email marketing mercenary edition. Anwesh Rath and I are releasing Email Ninja Academy – 2014 on March 27th 2014. We are both WSO of the Day sellers and we’re expecting you to earn VERY HIGH EPCs from this offer with our BIG TICKET FUNNEL that you can earn up to 100% COMMISSIONS across the board. We Are Giving You The Opportunity To Earn Up To $3,767 PER CUSTOMER Referral & 100% Commissions When You Promote Email Ninja Academy 2014. Plus We Will Be Doing A Webinar Promotion to All Customers To Give You Another Chance To Make BIG TICKET Sales. We look forward to having you on board and sending you MASSIVE Commissions! Anthony Morrison is back with the much-anticipated launch of “Partner With Anthony” – coming March 24th at 9am EST. As usual, Anthony is busy stocking up the JV page with massive prizes, and when you promote, he’ll be burning up the leaderboards reciprocating for your next launch. Alper Aribal, Mark Thompson + Adam Short, John Pearce, Christian Fea, Greg Jacobs, Matt Wolfe, Kenny ‘Kajabi’ Rueter and other fellow JVNotifyPro 2.0 partners are waiting in the wings … keep your eyes on your Inbox, and follow the action in the JVNP 2.0 Premium VIP JV Announcement archives. Posted in Joint Venture Announcements	| Tagged Affiliate Marketing, Affiliate Program, Affiliate Program Directory, Affiliate Programs, Anwesh Rath, Attract Affiliates, Attract JV Partners, Best Autoresponders, Best Email Marketing Services, Best JV Brokers, Buzz Builders, Email Ninja Academy 2014, Find Affiliates, Find JV Partners, Home Business, Internet Marketing, Joint Venture Blogs, Joint Venture Forums, Joint Ventures, JV Announcements, JV Blogs, JV Forums, JV Invite, JV Launch Calendar, JV Product Launch Calendar, JVListPro, JVNewsWatch, JVNotifyPro, JVZoo, Make Money Online, Marketing, Mike Merz Sr, New Product Launches, Niche Marketing, Online Business, Product Launch Calendar, Reed Floren, Work At Home	| Comments Off on Anwesh Rath + Reed Floren – Email Ninja Academy 2014 Affiliate Program JV Invite, More.